C 208- Cessna Caravan Class Rating Course TRAINING DATES individually ON REQUEST! we received your request via our office per @-mail / fax. If you refer to our homepage www.aal-operations.org you will become an idea about our company and it’s structure. We have since 13 years experience on the model C 208. We know the AC very well. This in reference to transatlantic ferry flights, operations in Africa and pilot training in Europe. Since 1996 we performed more than 220 Pilot Trainings in Europe! Germany is joining the JAR-FCL System since May 2003. Our Syllabus is prepared in accordance with JAR -FCL Requirements. 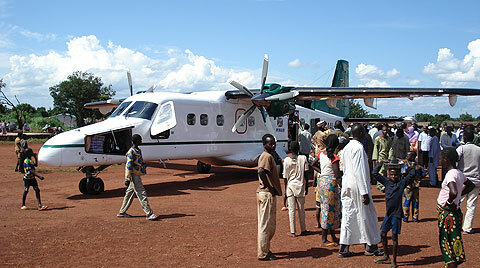 We had finished more than 125 Type rating-trainings worldwide on the Dornier 228 during the last eight years. Our concept is very flexible. Usually we travel to our customer and we carry out the training on place. This is mostly more economic and effective for the operator. The pilots will receive a complete theoretical and on the companies aircraft a special practical training with very high standards and JAR-FLC certified TRTO Status. This includes the possible endorsement company SOP`s and D 228 MCC crew coordination concept. Our Syllabus is prepared in accordance with JAR-FCL Requirements and reflecting to this established EUROPEAN Standard we never had any problems to perform trainings in foreign countries. However we could proceed along your CAA approved training program or your CAA will approve our program. Usually we contact the responsible CAA prior any contract and release all our papers and documents / references to them. The authority will approve usaully, because it will be hard to find a training facility with our worldwide training experience on type. With the beginning of the year 2002, the whole program was renewed and strictly adapted to JAR-FCL Regulations and TRTO Status of the company! We perform training with experienced Class rating instructors for all kind of operations! We are able to discuss flexible arrangements according the need of our customer!